*Our holistic skin rejuvenation services are implemented by Registered Acupuncturist and Traditional Chinese Medicine Practitioner, Jessica Moon. Please call to book for a consultation visit or for any Microneedling services. NOTE: You will get an Acupuncture visit receipt for all Cosmetic Acupuncture visits. All add-on Microneedling services are billed as is. Please check with your insurance provider to find out your Acupuncture coverage. Cosmetic or Facial Acupuncture involves the insertion of very fine gauge and shallow needles into the dermis of the face in order to stimulate local collagen and elastin production. At the same time, Acupuncture points around the body are selected to aid in circulation, digestion, sleep, stress and overall factors that contribute to skin health. A series of 4 to 6 sessions once per week should be initiated to build up a base of activity in the skin of the face/ neck, moving into less frequent treatment intervals. Carbon dioxide therapy (CDT) is a medical practice developed in France during the 1930s for cardiovascular health treatment, and is now popular within the field of aesthetics for lipolysis and dermal rejuvenation, widely used in European and Latin American countries. In Carboxytherapy, medical grade carbon dioxide gas is introduced to the skin via 0.5mm injection into the dermal layer. An excess of carbon dioxide in the tissue then provides the stimulus for greater oxygen delivery by increasing capillary blood flow, which then brings in local angiogenic growth factors, induce circulation, encourage lipolysis, and encourage dermal regeneration. Carboxytherapy is a safe, simple and cost-effective technique with minimal downtime and recovery period. Depending on the starting point of skin condition and goals, treatments will be weekly or biweekly for 4 to 6 weeks, and then onto a maintenance of once every few months or so. Automated Micro-Needling (also known as Epidermal Collagen Induction Therapy or ECIT) is a new innovation in aesthetic medicine for the treatment of the appearance of fine lines, acne scars and the improvement of the skin’s texture, tone and colour. During the procedure, the Eclipse MicroPen® is used to create controlled micro-injuries to the skin in order to aid in the production of collagen and elastin. The skin’s repair process results in a thicker epidermis with a softer appearance of wrinkles. Eclipse MicroPen® also creates micro-channels which allow topical gels, creams and serums to be absorbed more effectively, enhancing the effects in deeper layers of the skin. There are two different glide serums used during Microneedling: Hyaluronic Acid or Platelet Rich Plasma. 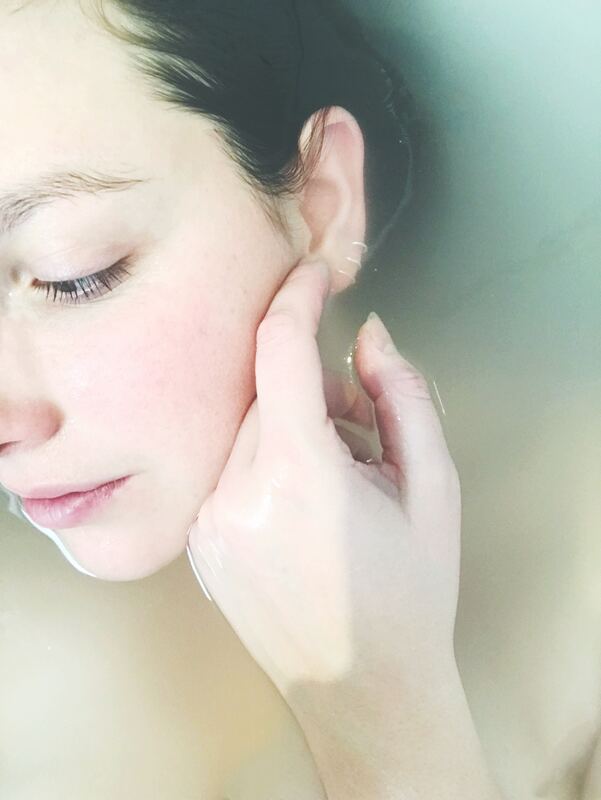 Hyaluronic Acid is a major component of our skin, responsible for plumpness and hydration of the dermal layer, able to hold 1000x its weight in water. Platelet Rich Plasma (PRP) is separated by centrifuge from a small blood sample of your own blood, and is therefore natural, safe and well tolerated. When used with Microneedling, it is often known as the “Vampire Facial”. PRP contains healing and repair factors which will help tighten and restore volume to the face, neck, and décolletage. 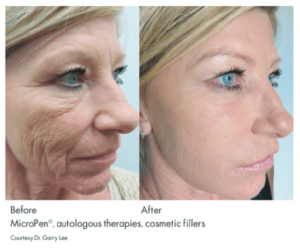 It’s regenerative factors mean that PRP will have more lasting benefits than Hyaluronic Acid. Visible changes to the skin develop over the course of several weeks. Results can continue to improve up to 6 months after the treatment. Some skin conditions will only require a single treatment once a year to achieve optimal results. However, it is recommended for most patients to receive a series of 2-3 treatments spaced about 6-8 weeks apart. For those with more significant skin-care concerns, such as acne scars, it is recommended to receive 6-8 sessions at 6-week intervals.